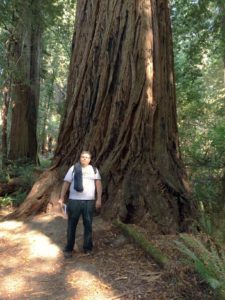 In the past twenty years it has become possible to systemically search old growth redwood forests for tall trees. Overhead LiDAR data can identify very tall trees. Then follow up measurements with laser range finders can identify height accurately within a foot or so. If more accuracy is required then advanced climbing techniques followed by the use of a measuring pole and direct tape drop can accurately measure height with a precision of a centimeter or so. For trees on slopes or mounded trees there is still some judgement involved when determining true ground level. So not everyone will agree on the exact height of certain very tall redwoods. Using published sources the height of the one hundred tallest known redwoods in 2000 can be compared to the 2012 height for the exact same trees. When doing this comparison several interesting observations can be made. First, ALL one hundred tallest known redwoods from 2000 were still standing in 2012. 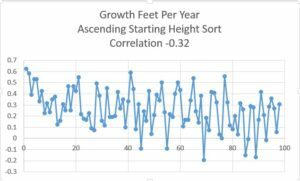 Assuming each individual tree has a one in a thousand chance of toppling in a given year there is a 70 percent chance at least one tree would fall during this period. But none did. So a quiet interval for the redwoods, versus the 1990’s when two of the tallest redwoods fell (Telperion and Dyerville Giant). 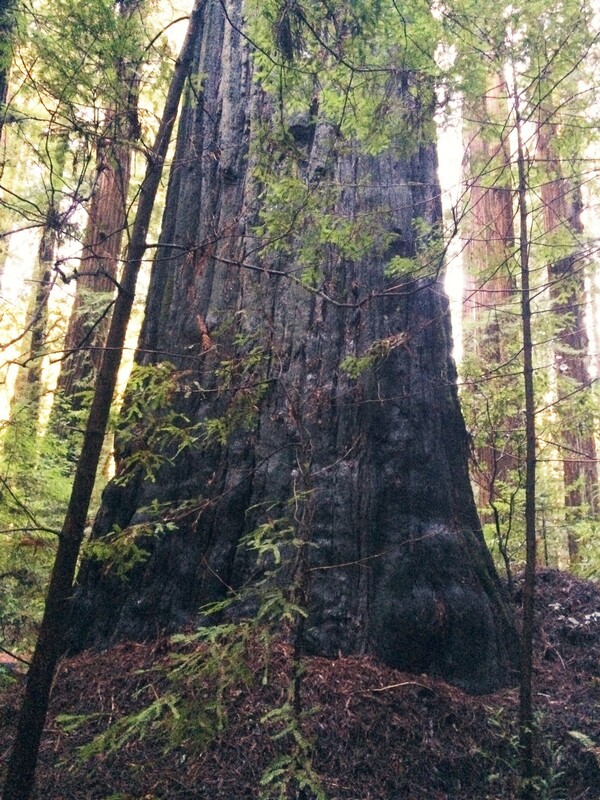 Second, just six of the one hundred tallest known redwoods lost height from 2000 to 2012. So very little die back of the tops. 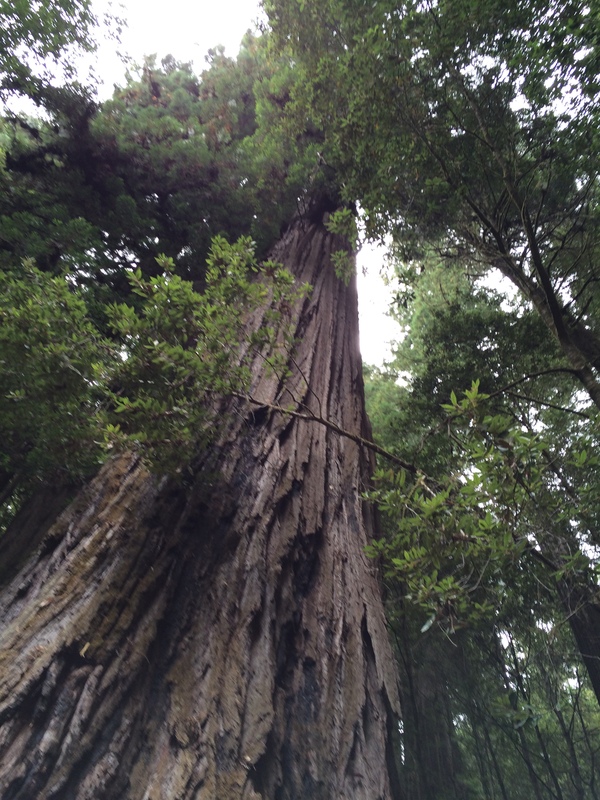 Third, about one third of the one hundred tallest trees grew at an average rate of six inches or more per year. 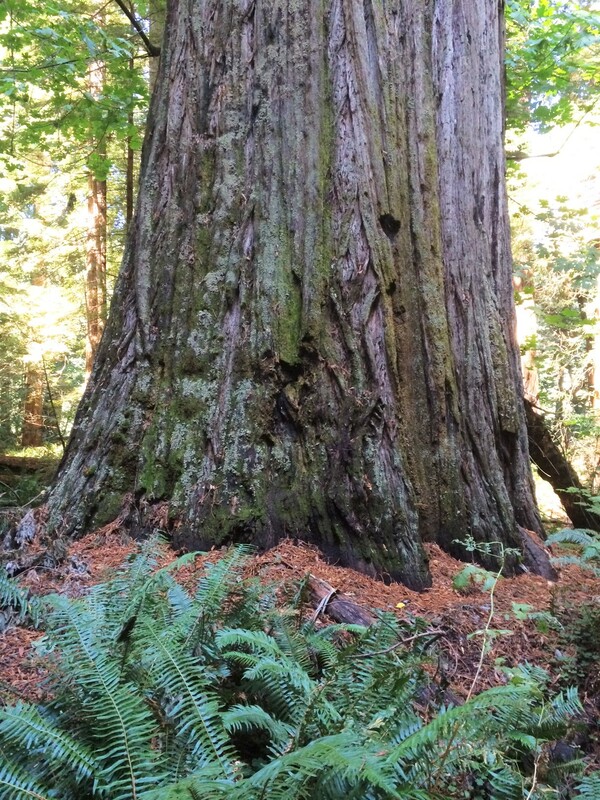 That’s a pretty good growth rate for an old growth redwood tree. This table shows twelve year height changes by individual tree, with the starting heights sorted from low to high as move from left to right. 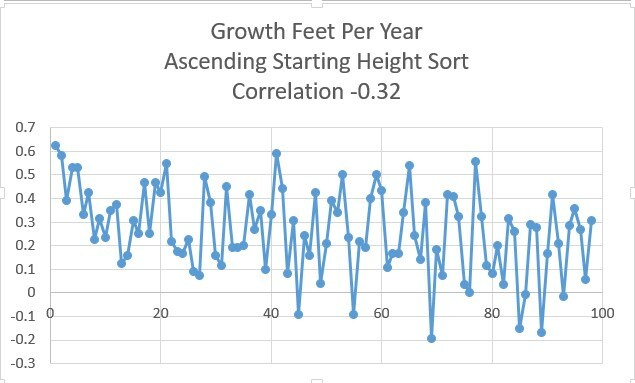 Here note some of the tallest redwoods had pretty good growth rates but overall there is a slightly negative association between starting tree height and height change. This table shows the average height change in feet per year by park. 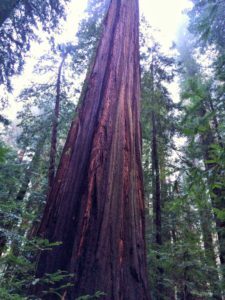 Note the low tree count for Redwood National Park, many of the tallest redwoods in RNP were unidentified in the year 2000. 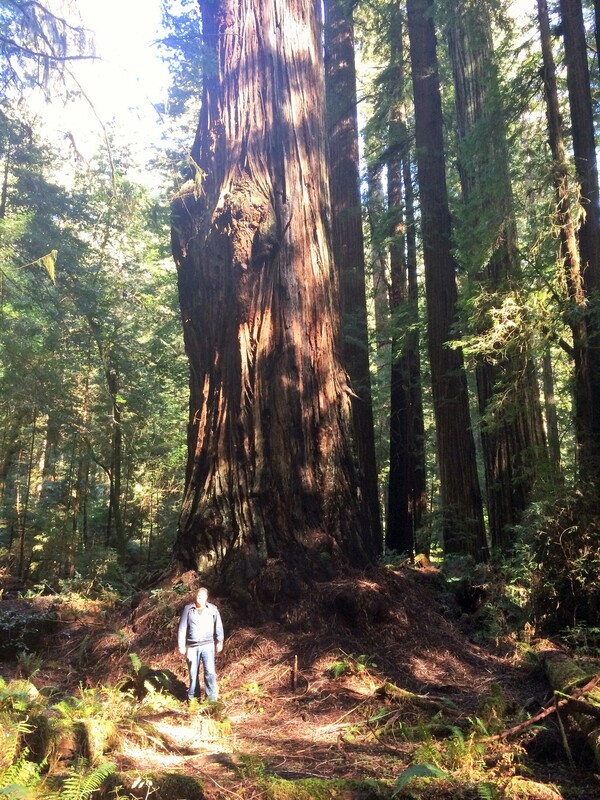 On average these tallest redwoods gained three inches in height per year. This table shows detail for areas of Humboldt Redwoods State Park. 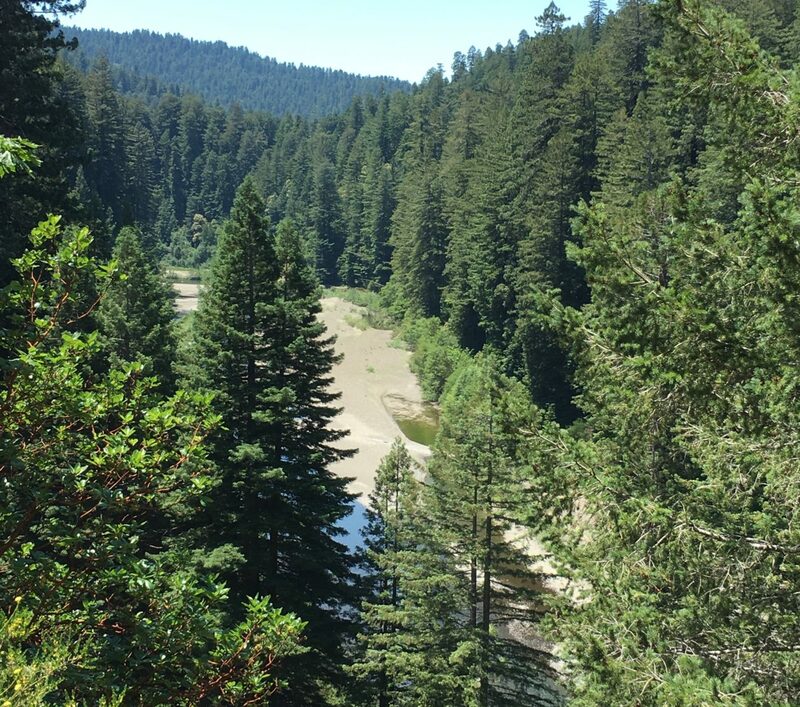 Note the fastest growth area is the even aged very tall stand of redwoods in Harper Flat. 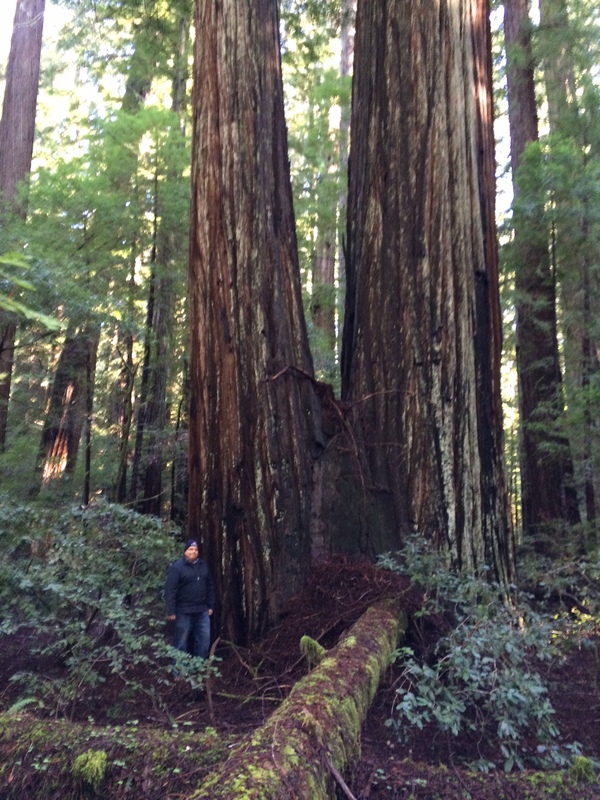 Here the redwoods averaged almost five inches of growth per year. Here are examples of trees with negative of zero change in height. Giant Tree. Lost about a foot in height over 12 years. 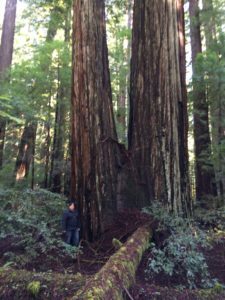 These three top ten tallest redwoods all had about the same average annual increase in height per year between 2000 and 2012, about 3.5 inches. 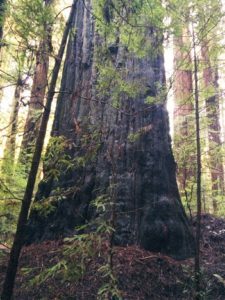 This is Nugget in Redwood National Park, it increased in height a bit more between 2000 and 2012 than the other top ten redwoods, about 4.25 inches per year. 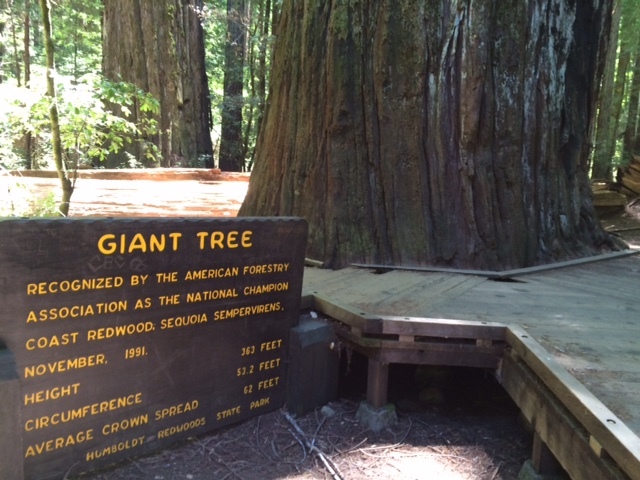 There were two redwood trees on Harper Flat that grew a whopping seven feet between 2000 and 2012. This tree is one of them. The two tallest redwoods, Hyperion and Helios, are not included in these tables as their discovery year was after 2000. In general Hyperion is growing relatively slowly compared to the other tallest redwoods while Helios is growing at a rate similar to Laurelin, Paradox, and Stratosphere Giant. Hyperion did pick up the pace a bit after 2012. I read a Humboldt State dendrochronology (tree ring) study which indicated redwoods are putting on more mass now than at any other time in the past one thousand years. 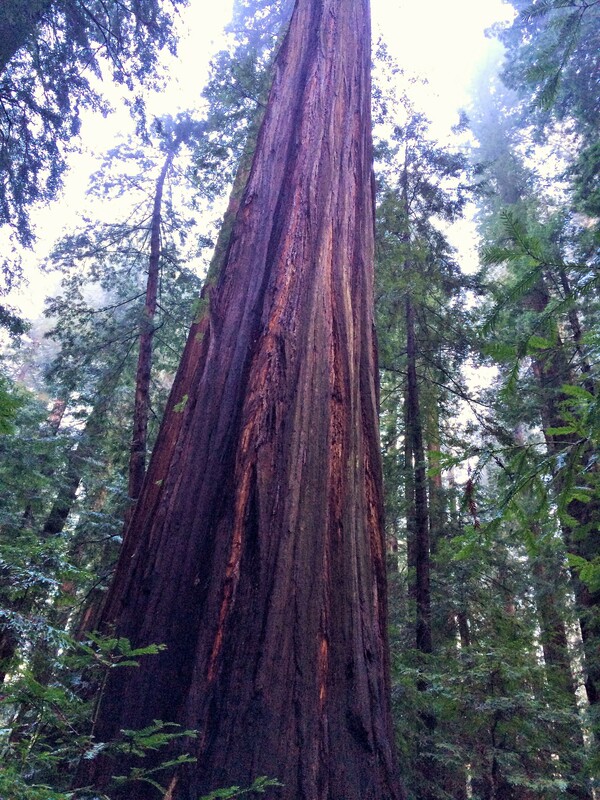 This is also exhibited in the general height increase of all the tallest redwoods from 2000 to 2012.